Updated: 7:53 p.m. | Posted: 4:48 p.m. In a letter to Comey, Trump said the firing was necessary to restore "public trust and confidence" in the FBI. 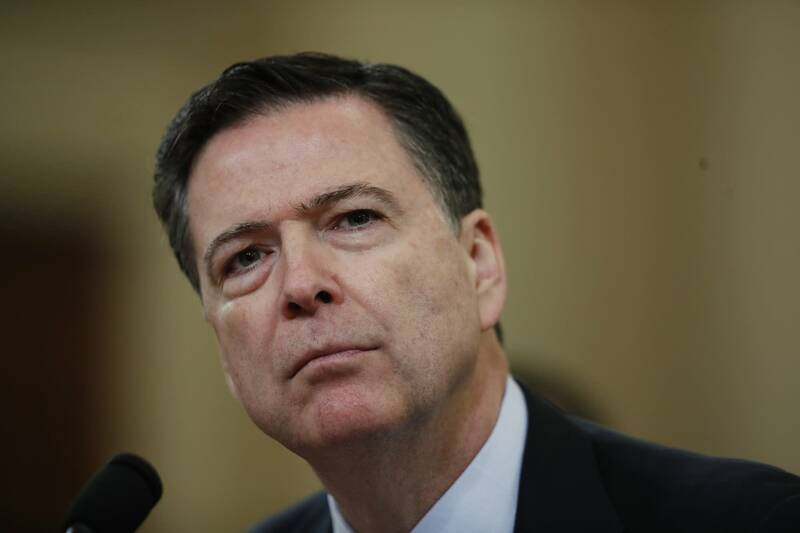 Comey has come under intense scrutiny in recent months for his role in an investigation into Democrat Hillary Clinton's email practices, including a pair of letters he sent to Congress on the matter in the closing days of last year's campaign. Since Attorney General Jeff Sessions recused himself from the bureau's Trump-Russia probe, Rosenstein, his deputy, has been in charge. Democrats slammed the move, comparing it to President Richard Nixon's "Saturday Night Massacre" decision to fire the independent special prosecutor overseeing the Watergate investigation, prompting the resignations of the Justice Department's top two officials. "This is Nixonian," Sen. Bob Casey, D-Pa., declared on Twitter. "Outrageous," said Oregon Sen. Ron Wyden, calling for Comey to immediately be summoned to testify to Congress about the status of the Trump-Russia investigation. Trump will now appoint Comey's successor. The White House said the search for a replacement was beginning immediately. Comey's deputy, Andrew McCabe, would presumably take over in the interim. "Given the recent controversies surrounding the director, I believe a fresh start will serve the FBI and the nation well," said Republican Lindsay Graham of South Carolina, chairman of a Senate Judiciary subcommittee investigating the Russian campaign interference. Comey, 56, was nominated by President Barack Obama for the FBI post in 2013 to a 10-year term, though that appointment does not ensure a director will serve the full term. Praised frequently by both parties for his independence and integrity, Comey has spent three decades in law enforcement.